MWENEZI – A security guard at the GMB deport in Rutenga has admitted in court that he, together with two accomplices connived and stole 39 x 50kg bags of maize from his employer. They stole the bags using a push cart and hid them in a bush next to the depot before hiring a car that ferried them into town where they wanted to sell the maize. 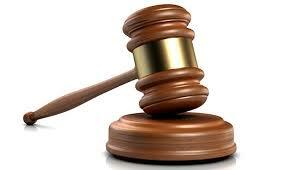 Wellington Taonezvi (39) pleaded guilty before Rutenga resident magistrate Mandhlenkosi Ndlovu to theft charges. He said he committed the crime because he wanted to feed his family. Magistrate Mandhlenkosi ordered the accused to pay $200 fine or go to jail for seven months. On January 23, 2019, Taonezvi crafted a deal with Tichaona Dube (24), a GMB employee and George Nhidza to steal from the parastatal. They took advantage of Taonezvi’s position as a security guard. The value of the stolen maize is $600 and it was recovered. “I plead guilty. I committed the crime because I wanted to feed my family,” said Taonezvi.